Q. HOW OFTEN SHOULD I HAVE MY VEHICLE ALIGNED? Q. IF I AM CONCERNED ABOUT MY ALIGNMENT, CAN IT BE CHECKED? check fee. Remember.... a $30.00 alignment check is much less expensive than a new set of tires! Q. DO YOU SERVICE ALL MAKES AND MODELS OF CARS & TRUCKS? A. YES! We do service both domestic and imported vehicles. Q. 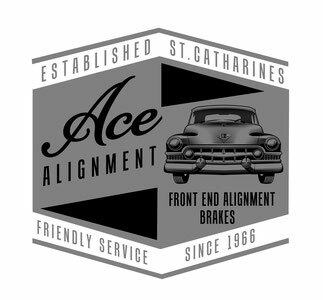 CAN YOU SERVICE VINTAGE CARS AND TRUCKS? Q. DO YOU ALIGN VEHICLES WITH LIFT KITS AND LARGER WHEELS? A. YES! Call us at (905) 685-5311 for details. Q. I'M GETTING READY TO SELL MY CAR AND NEED A SAFETY CERTIFICATE. DO YOU DO THAT? A. YES! We are a licensed Motor Vehicle Inspection Station.